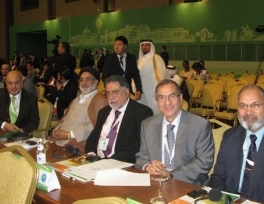 A delegation representing Kashmiri interests urged members of the Organization of Islamic Cooperation to keep the disputed territory in mind while expanding economic ties with India. “It is important for prominent Muslim states that have either close economic ties or are intending to forge new ties with India to remind New Delhi of their apprehensions of what is happening in that part of Kashmir that is occupied by India,” said Ghulam Muhammad Safi of Kashmir’s separatist All Parties Hurriyat Conference (Geelani). “The situation on the ground is very deplorable. Kashmiris continue to suffer at the hands of the occupation forces,” Safi said at the OIC foreign ministers meeting in Astana. “We have documented a number of grave human rights violations that have been committed in recent days and submitted them to the OIC,” he said. The Kashmiri delegation was led by Srinagar-based Agha Syed Hassan Mousavi representing Mirwaiz Umar Farooq and included Ghulam-Nabi Fai, executive director of the Kashmiri American Council; Abdul Majid Tramboo of the ICHR Kashmir Center in Brussels; and Nazir Ahmad Shawl, Justice Foundation executive director of the London-based Kashmir Center. He also welcomed the resumption of dialogue between Pakistan and India to achieve a just and peaceful resolution of the longstanding issue. With 160 million Muslim citizens, India has about 10 percent of the world Muslim population. India is neither a member of OIC nor does it have observer status. India's entry into OIC has been opposed repeatedly by Pakistan, and New Delhi itself has developed an anathema to the organization. Statements coming out of the OIC foreign ministers meeting referring to Kashmir as "occupied territory" drew a sharp response from Indian federal minister Farooq Abdullah. “The OIC has no jurisdiction as far as we are concerned; therefore, its view does not make any difference, and all members of the OIC are not part of this game that is being played. There are interested parties who want to create a problem, but India knows where we stand,” Abdullah told journalists in India. He suggested the OIC set its own house in order. Fai of the Kashmiri American Council noted the issue was a global one. 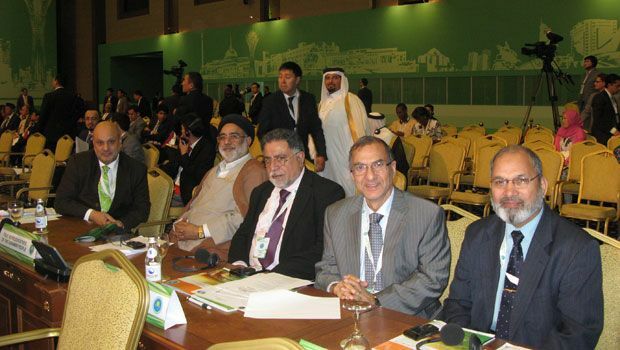 “The OIC countries realize and acknowledge that Kashmir is part of the Muslim Ummah and that what is happening there is a cause for concern for the entire Muslim world,” said Safi. "Abdullah's remark clearly indicates that India is beginning to feel the pressure."